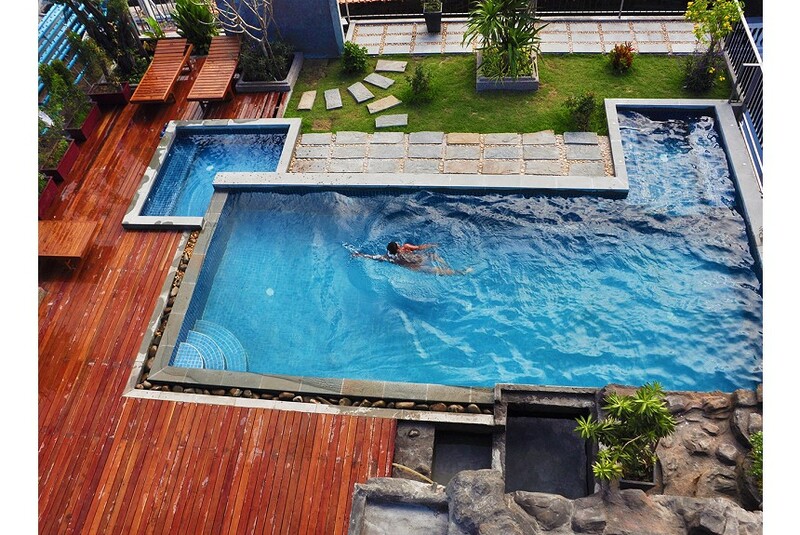 Located in Siem Reap-Angkor, Soria Moria Hotel & Spa features a rooftop swimming pool, spa and a fitness centre. The vibrant Pub Street is about a 5-minute walk away where guests can find various restaurant and bars. The spacious rooms come with air conditioning, a flat-screen TV and cable channels. The private bathroom has a bath, bathrobe, slippers and free toiletries. Selected rooms also come with a balcony. The garden, sundeck and rooftop swimming pool is open from 08:00 - 22:00 hrs and offers views of the city and the sunset. The on-site restaurant offers both indoor and outdoor seating areas and stays open all day serving breakfast, lunch and dinner. Special offers include a complimentary pick-up service from the airport to the hotel. For guests who want to explore the area, free bicycles are also available. The reception desk stays open everyday for 24 hours to assist guests with tour arrangements and provide any travel recommendations.